While the Papua New Guinea Government continues to push for 'Free Health Care' as one of its core policies, clinics all over the country are still facing shortage of medicine. One such clinic is the 6-Mile Urban Clinic in Port Moresby. Serving over a hundred patients per day, the 6-Mile Clinic has been sending patients away with no medicine said to be available in the pharmacy except for panadol to treat those presented with body aches as observed by this newsroom. A sister in the clinic said this has been going on for a while and the least the health workers could do was to attend to patients and refer them to commercial pharmacies with medical prescriptions. 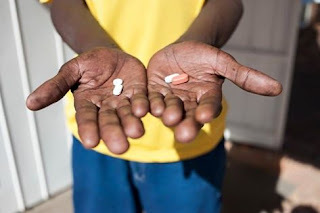 Meanwhile the sister says the clinic will continue to refer patients to pharmacies until the government supplies medicine to the clinics to boost the depleted stock.